A couple weeks ago Buenos Aires experienced its inaugural Buenos Aires Food Week, a reflection on the growing gastronomical scene here. 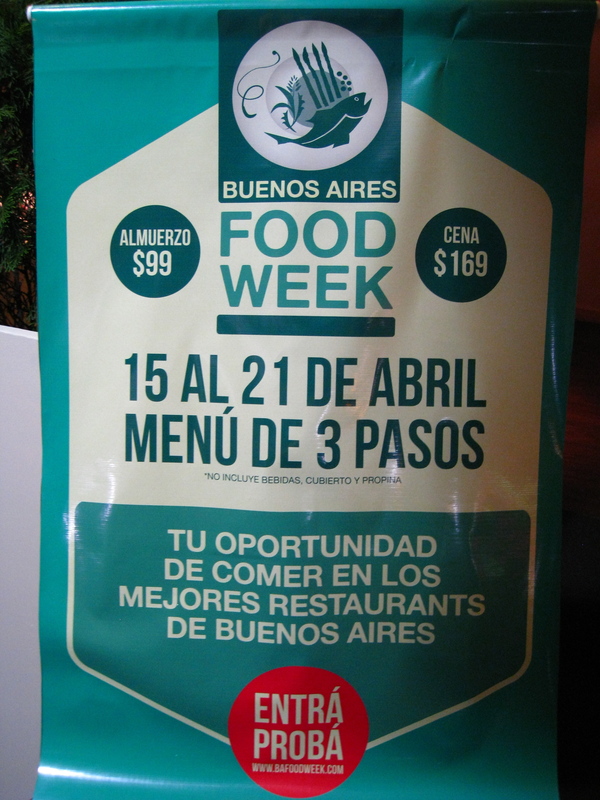 Also, notice it is “Food Week”. In English. Seriously we are all going to be speaking spanglish soon. Anyway, this first-ever food week kicked off with the opportunity to try a fixed menu lunch and/or dinner at the 24 participating high-end restaurants. It’s not nearly as big as NYC Food Week and I don’t think the word has really gotten out about it because it’s quite easy to get a reservation even at the last minute, but it’s really a great start to what I hope will be a continuing tradition. My lovely date for this girls night out, Kat. The restaurant offered two choices for each of the three courses so we got one of each and shared. I kind of love sharing food especially in a restaurant I haven’t been to and more especially in one I’m not likely to go to again. It seems a waste to get to try only one thing… I may have picked up this habit from my grandmother come to think of it. 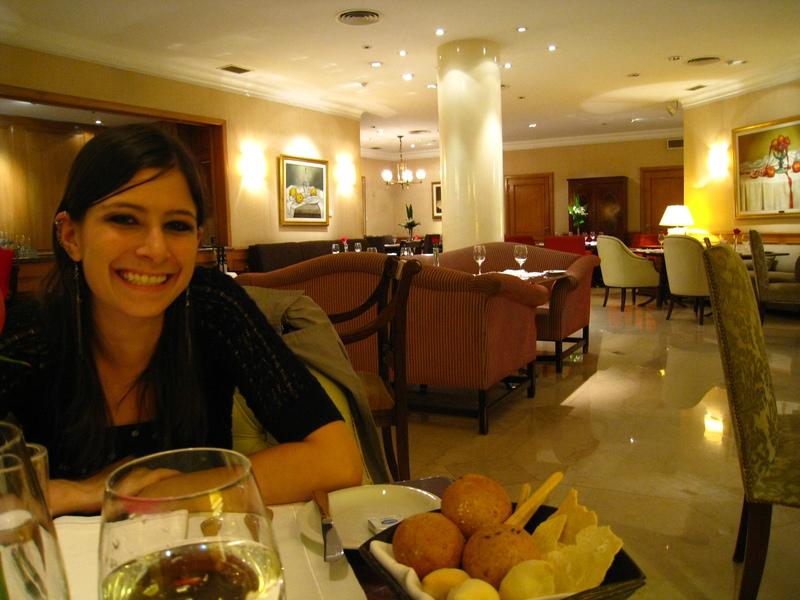 Whenever you went to a restaurant with her it was kind of assumed and accepted that at some point during the meal you would see a fork or spoon invade your plate and kidnap a bite of your food. 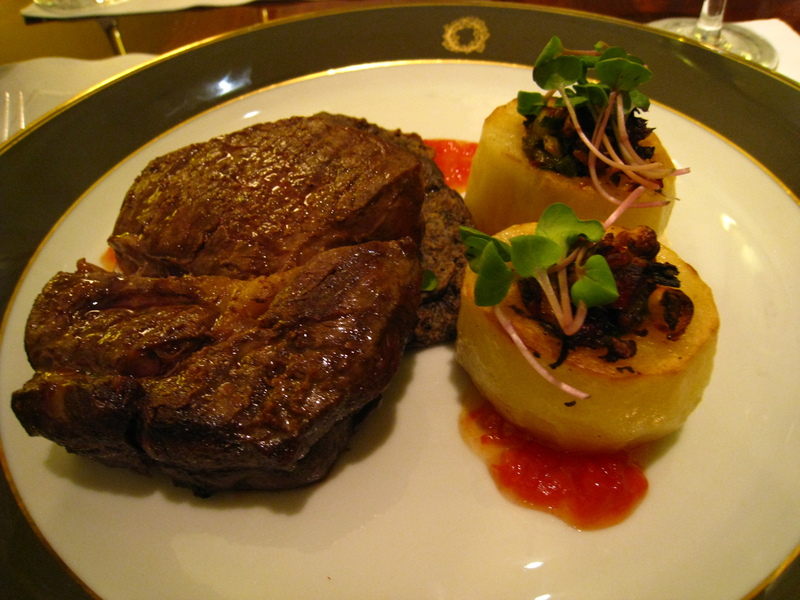 Second course: Steak (cooked perfectly without having to tell them), potatoes that look like they are bones stuffed with marrow (one of my favorite plating concepts I’ve seen), stuffed with a caramelized onion. I forgot what the sauce was but it was delicious. 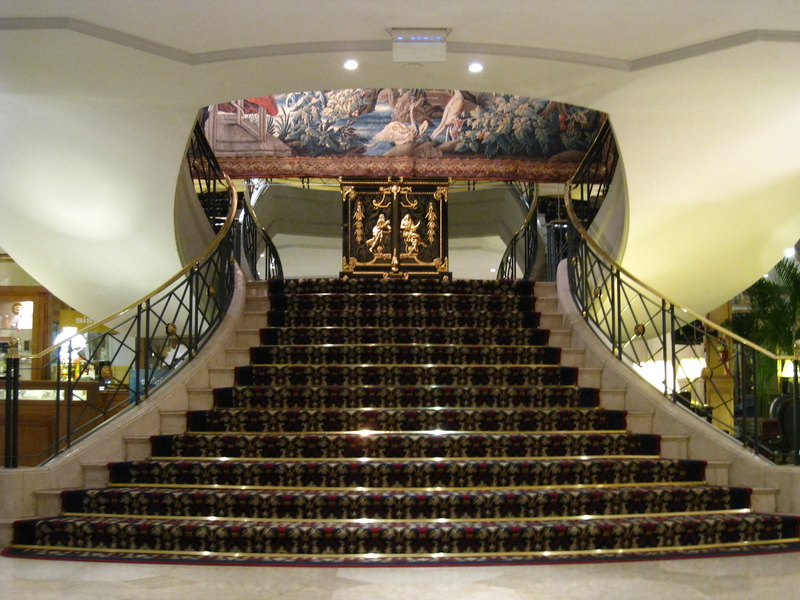 The lobby of the Caesar Park Hotel. Very grand indeed. The restaurant itself was really wonderful. All the food was thoughtful both in flavor and presentation and the staff was really great. They were attentive without being annoying. Just the right level for this kind of restaurant. I would, and plan to, come back with Jesse for a nice night out. 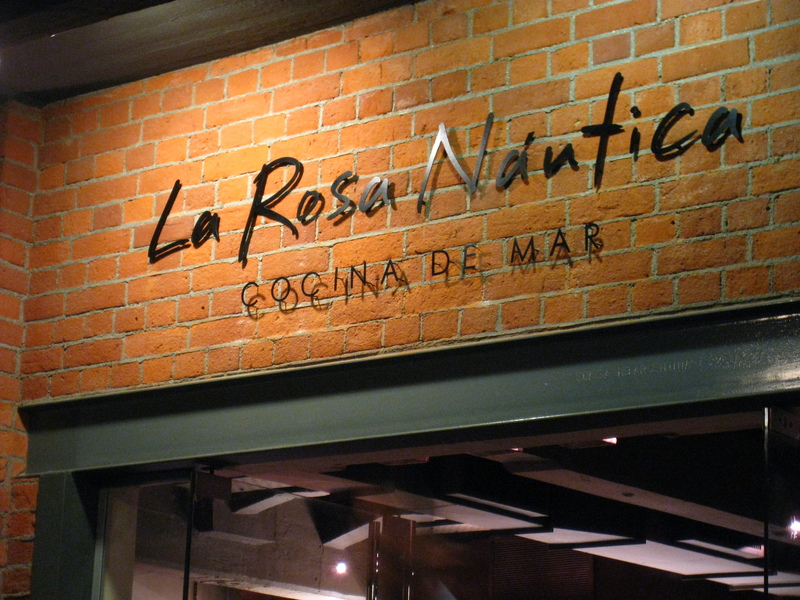 Stop number two – La Rosa Náutica in Puerto Madero. Jesse and I had a lovely date night at this Peruvian seafood restaurant. 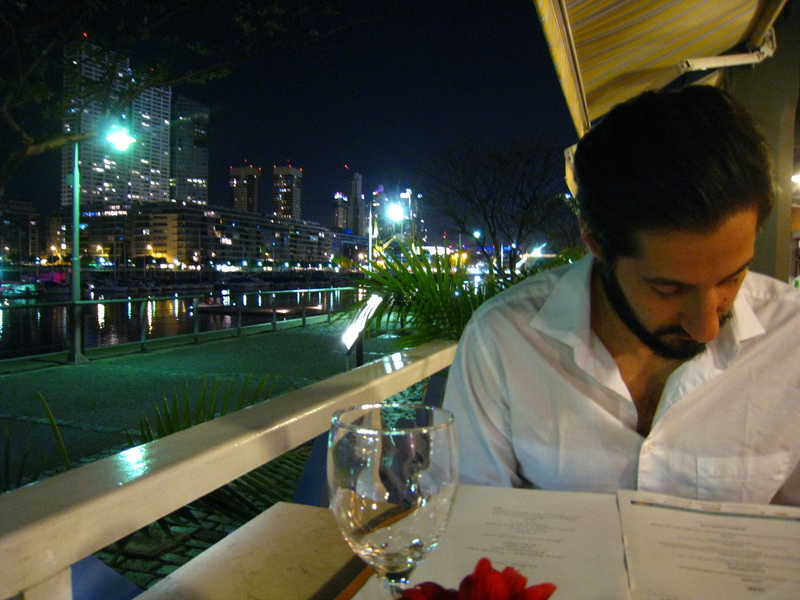 We started the evening at Bullers, an artesanal cerveceria, and then headed over to Puerto Madero. 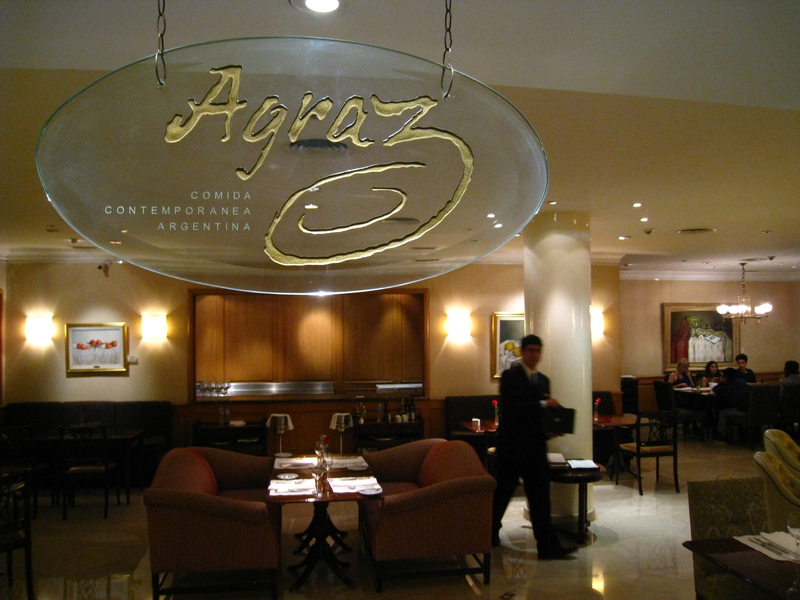 Usually we consider the restaurants here off limits because they’re usually pretty high-end and a bit pricey. Besides, they seem like they are the touristy nice restaurants that most cities have and we are primarily non-touristy people. But this is what food week is for! I just loved the decorations here. How cool is this? 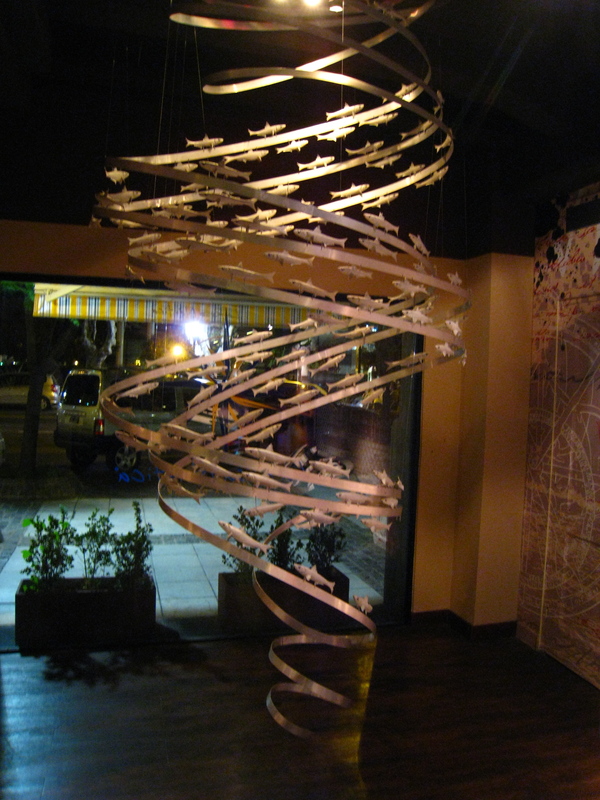 I could totally see this decorating the back patio of a house on the water… ah dreams. We got a table outside with a view of the canal. First course: Ceviche in three ways. 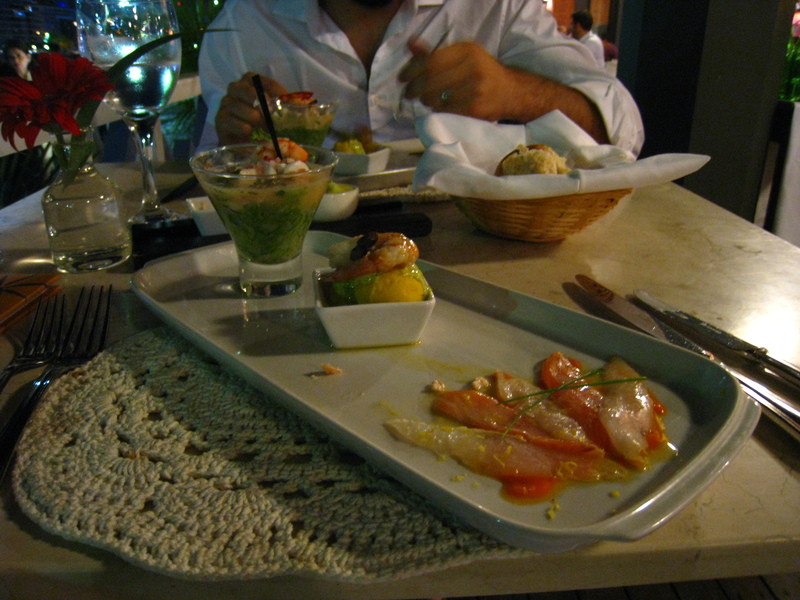 My favorite, of course, was in the glass with the leche de tigre, a mix of citrus juice used to “cook” the fish and the juice from the fish itself. I may have drunk the juice when the fish was gone. Nothing but class. 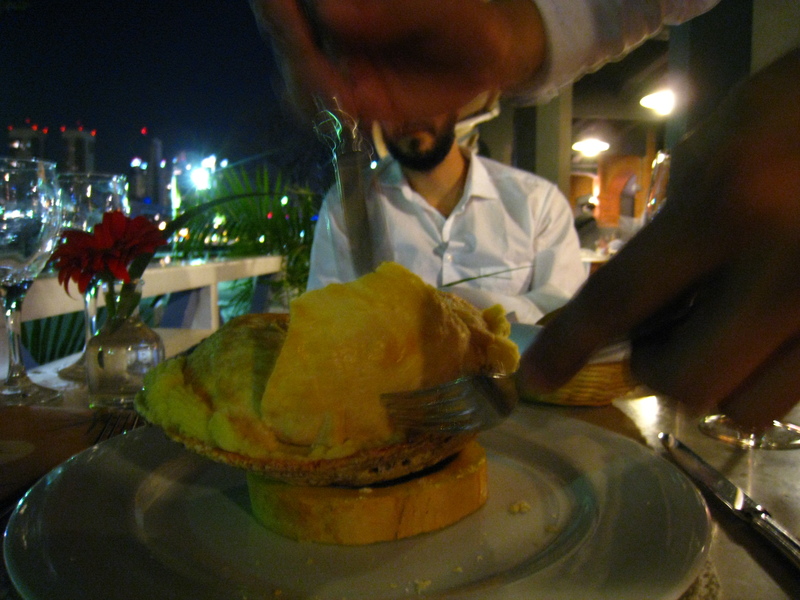 Second course: Seafood chowder pot pie served in a giant clam shell with a puff pastry topping. 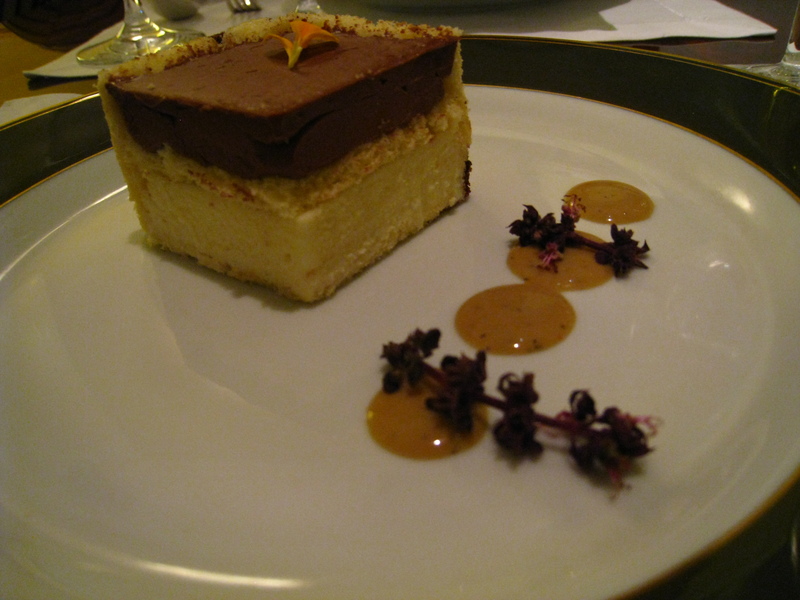 Third course: Delicious! 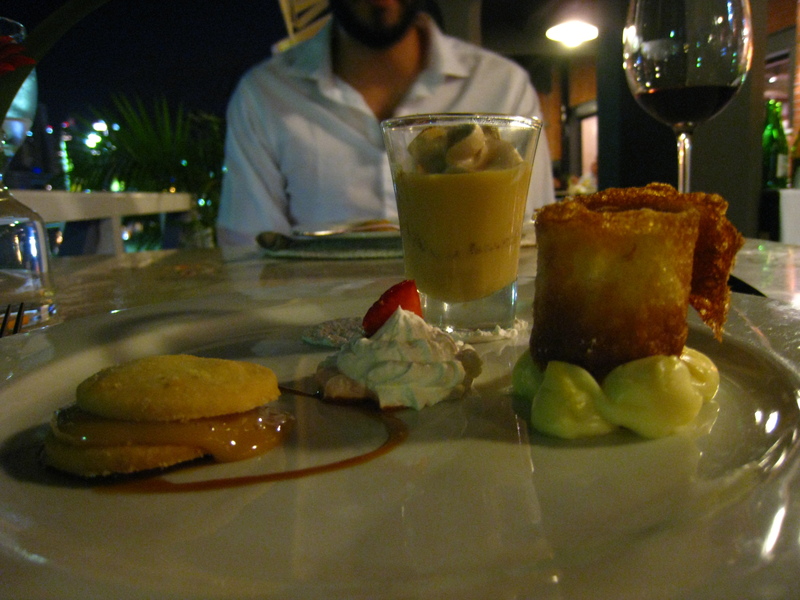 Dulce de leche in different forms. 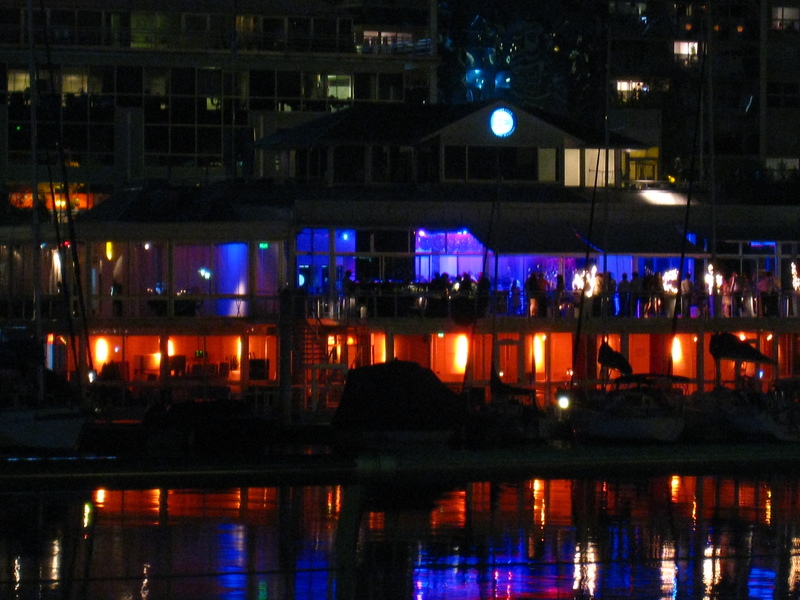 The Puerto Madero Yacht Club was across the canal from us. They were having quite a fiesta there – the lights kept changing color and the music was blaring. 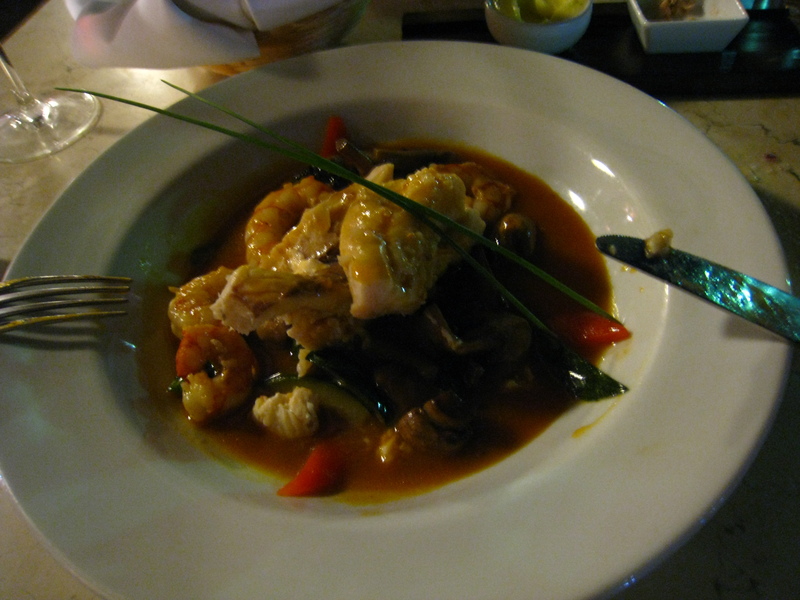 The food at La Rosa Nautica was good solid seafood. 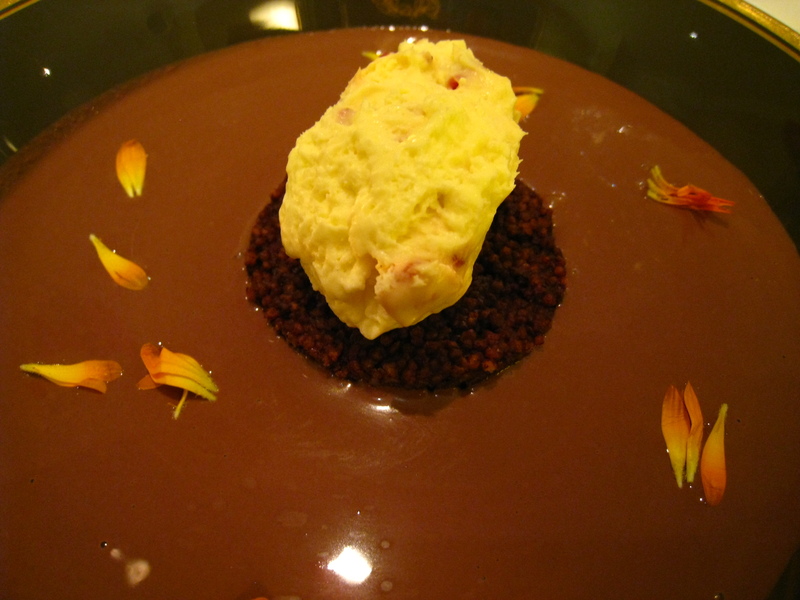 But it was a bit uninspired and a little expected from a high priced, somewhat touristy restaurant. 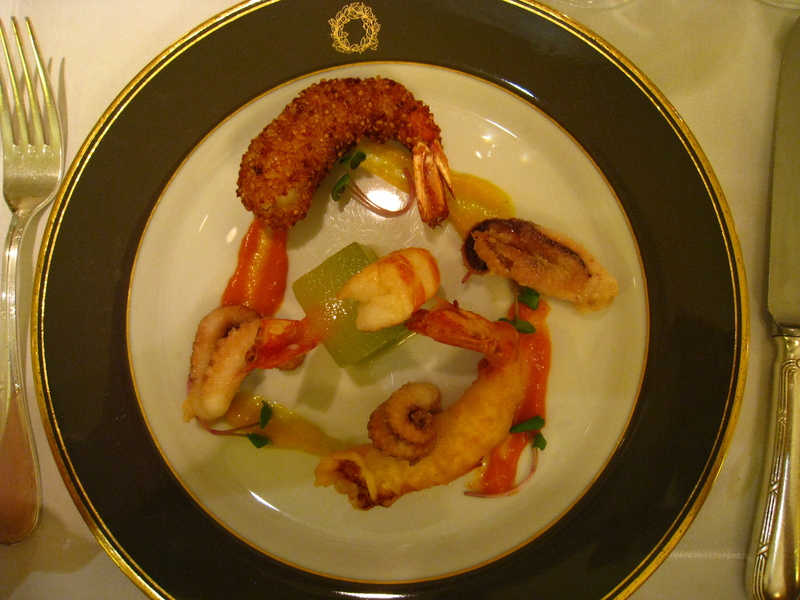 Although, perhaps my opinion of the food would be a bit better had the service been better. The restaurant is huge and I think maybe under staffed or maybe just mismanaged. There were several points in the evening when both our water and wine glasses were sitting empty for about 10 minutes and nobody even looked up when we tried to get their attention. We actually had to get up, grab our bottle of wine, which was sitting on a small table not far from us, and pour our wine. Now, as you hopefully would have deduced, we are not the type of people who need to be “taken care of” at a restaurant. If the food is good, we are perfectly happy (and more often prefer) pouring our own wine or just waiting for a server to be available. But when you go to a restaurant like this, well, the prices for the food are typically higher to cover the costs associated with better service and La Rosa Nautica just did not deliver. As I said, the food was pretty good, but not good enough to make up for the lack of service. 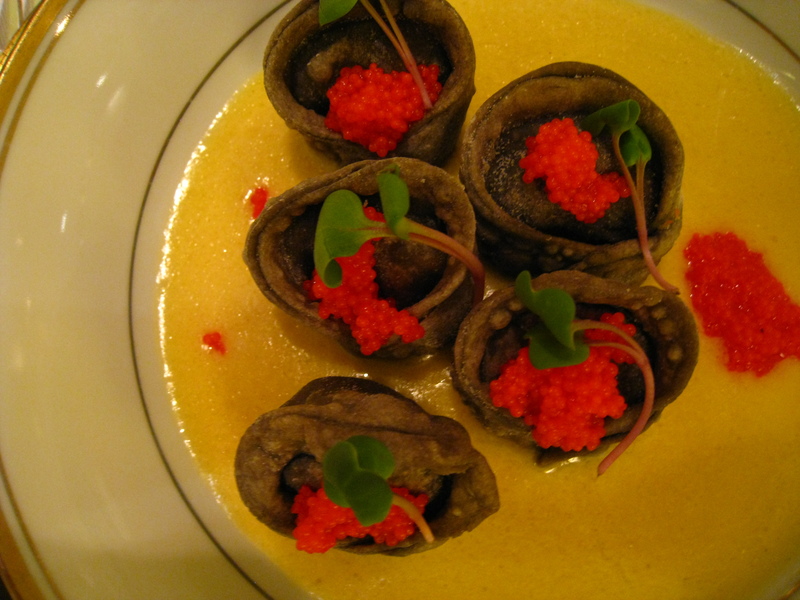 All in all BA Food Week was great. I definitely got to check out some restaurants I wouldn’t have normally gone to and now have a list of other places to try. I’m not sure when the next one is but if you’re living here or coming to visit, you should check it out. 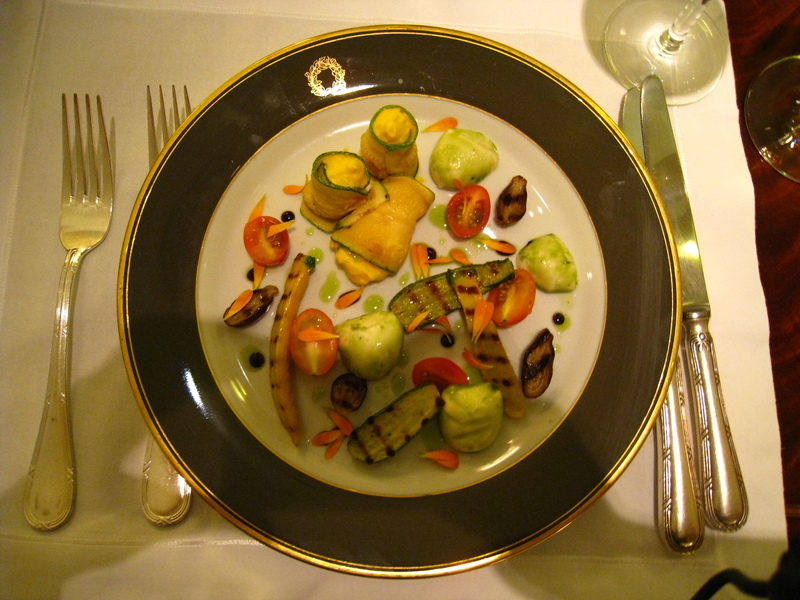 I am always amazed at how beautifully presented the food looks. But, my attention- and fond memories will always be of the steak. The best I have ever tasted!